Thylakoids are cell organelles that harbor the photosynthesis process in all green plants. 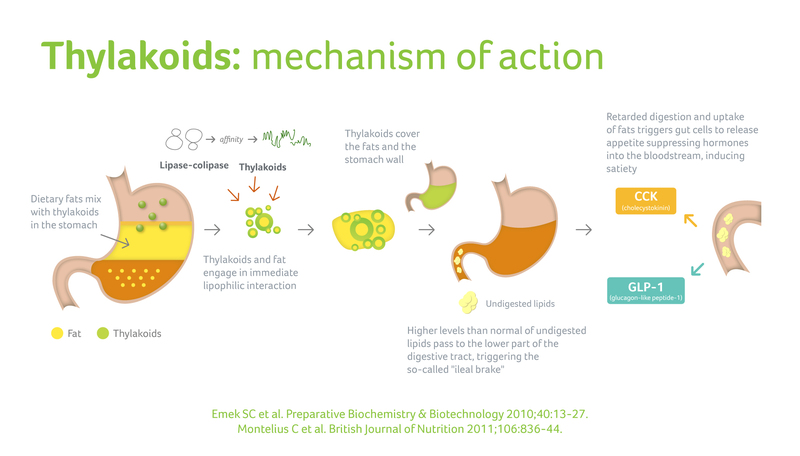 The University of Lund is a leading medical university and Charlotte Erlanson-Albertsson and her group there has shown in several published studies that ingestion of thylakoids suppresses appetite and induces weight loss. 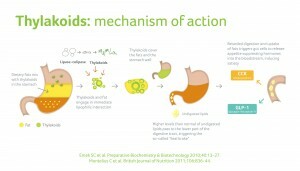 This is achieved through the temporal delay of fat digestion in the gut and the triggering of natural satiety signals that affect feeding behavior and eating patterns in animals and humans.